What is a Certified Probate Real Estate Professional? As a Certified Probate Real Estate Specialist, I specialize in the area of probate and helping the administrators and executors with the sale of any real estate properties that the estate needs to liquidate. To have the C.P.R.E.S. 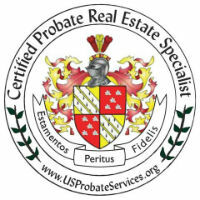 designation, an agent much pass a certification exam given by U.S. Probate Services.org. As 1 of only 39 agents in Mass, I am very proud to say that I understand the needs of the estate, the probate process and can help you navigate the emotional and business aspects of selling probate property. Having the right real estate agent means having an agent who is committed to helping you buy or sell your home with the highest level of expertise in your local market. Tina will help you in understanding each step of the buying or selling process. As an Accredited Buyers Rep, Senior Real Estate Specialist and a Certified Probate Real Estate Specialist, she has expertise in working as a buyer's agent and listing agent. Whether you are a first time home buyer or selling your beloved family home, Tina can help. Clients choose to work with Tina because she is a reliable, trusted full service real estate agent. She has consistently been a top producer at RE/MAX Trinity and that is in part due to her loyal base of clients who refer her to their colleagues, family and friends. Tina’s knowledge of the Boston and surrounding area real estate market is second to none. She is well known for her commitment to great customer service, reliable and consistent communication with a strong attention to detail. Understanding the market is important but understanding people’s needs is more important. With Tina's expertise and commitment to her clients and the real estate profession, she is able to provide you with the very best service and guide you along the way. Nothing is more exciting to me than the gratifying feeling I get from helping people meet their real estate needs. You can count on me to always do what's in your best interest. I pride myself on being honest, trustworthy, and knowledgeable in the real estate market. I know how important it is to find your dream home or get the best offer for your property. Whether you are an experienced investor, selling your home or a first time buyer, I can help you!